Created to evoke the "aroma of a wintertime fire", Hearth features notes of oud wood, frankincense, and smoky embers. The candle itself is tinted with a deep chocolate hue and it is housed in an elegant brown glass vessel embossed with gold and frosted stripes. When it comes to candles, I'm usually not a fan of woody scents but Hearth smells really sophisticated and not overly botanical. Additionally, the rich and warm fragrance is rather subtle, great for those that want to light a candle but don't want the smell to take over the entire house. The 230g candle lasts approximately 50 to 60 hours and it burns very evenly with no tunneling. 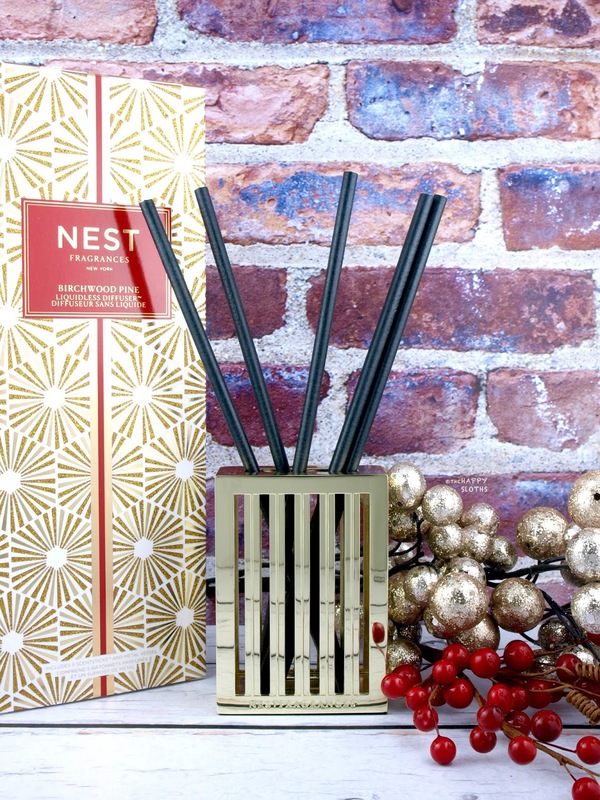 New for Holiday 2017, NEST has created an innovative liquidless diffuser that utilizes specially made paper ScentSticks infused with pure fragrance oil. Inside the box, you get a beautiful "open-air" gold diffuser stand and five ScentSticks contained within a re-sealable bag. Each stick lasts about 30 days and NEST recommends using between two to three sticks to start, depending on the size of your room. As the sticks slowly lose their scent, add the remaining sticks to boost the aroma. The Birchwood Pine fragrance features a blend of white pine, fir balsam, and birchwood, alongside a base of musk and amber. Despite such a woody profile, the scent smells surprisingly fresh and uplifting. It doesn't scream holiday so I think it's a great scent year-round. 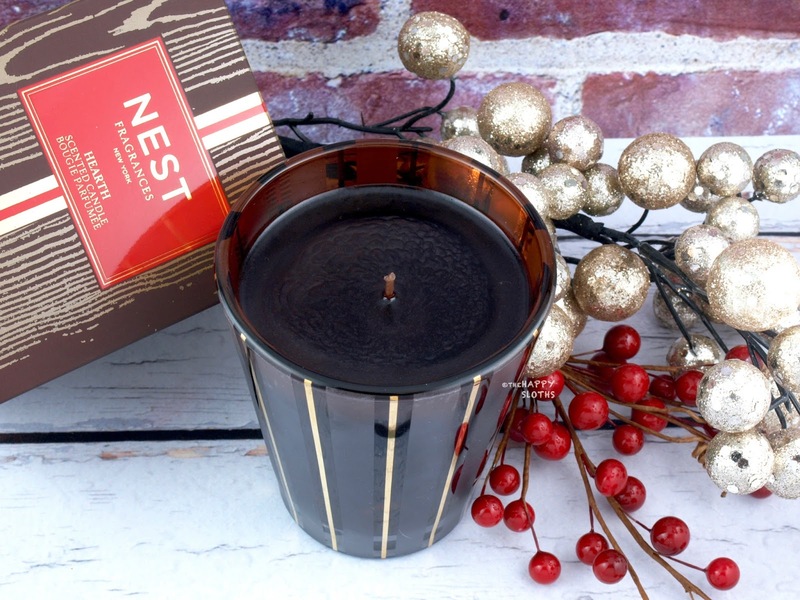 Have you tried any home fragrances or candles from NEST? Do you enjoy burning candles around this time of the year? Share with me in the comments below! 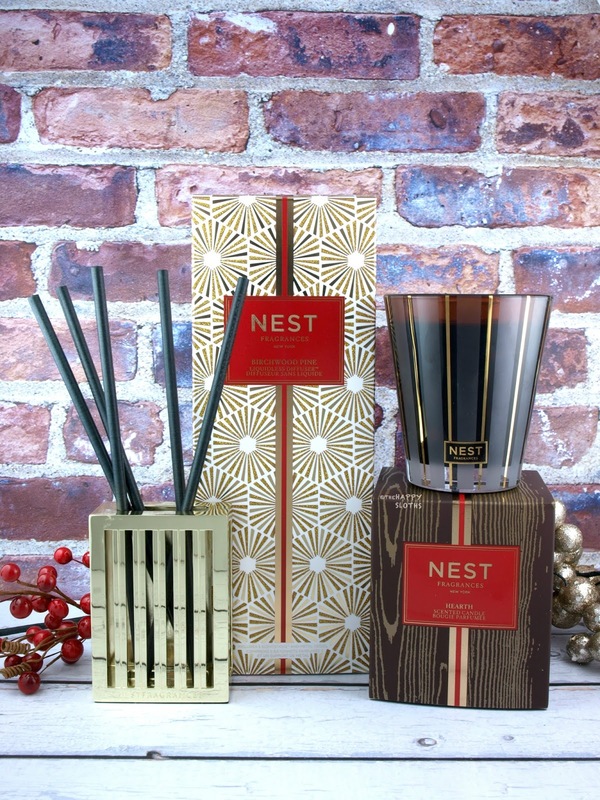 NEST Fragrances is available online and in stores at Sephora and www.nestfragrances.com.